Can Using Your Hot Tub Get You That Work Promotion? How many of us feel the same heat? Who’s ready to jump in a hot tub? Great! Well, at least wait until you finish this article. For most of us it’s not practical to have a hot tub at work. Don’t fret. Spending time in a hot tub is an investment that pays off later in the corner office, active work environment or cubicle. A healthy, happy employee is more likely to get promoted. Is that you? Job satisfaction promotes life satisfaction. There’s a “promotion” worth shooting for too. Dipping into your hot tub for your daily dose of good health boosts the probability of getting that promotion. Let’s visit the reasons why this works. Stress causes various physical and psychological disturbances. This effect lessens our ability to focus and concentrate at work. Hot tub use is very effective at lowering stress levels. This benefit carries beyond the fiberglass borders of your hot tub. When stress levels are low our concentration improves. You will manage the distractions of the day with greater effect. This leads to a more productive and fulfilling day, week, and career. The power of positive thinking is well-documented. 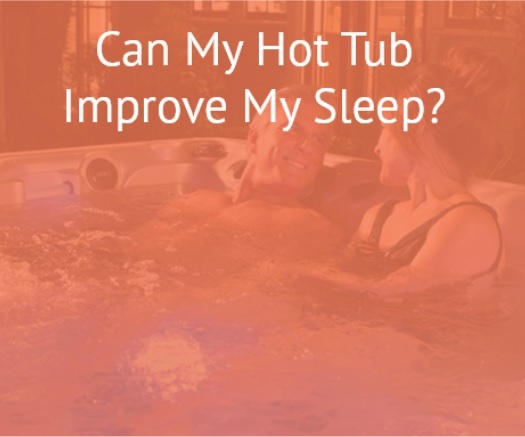 The relaxation one achieves by regular hot tub use promotes positive thoughts. Our jobs ask us to face challenges that try to conquer us. Remaining positive during these occasions will in turn make your job easier. This is only achievable if an active practice of relaxation is in place. Stepping up when your work-team needs help is admirable. When you feel overwhelmed you are less likely to volunteer for anything extra. Sometimes even planning a small party can throw you for a loop. 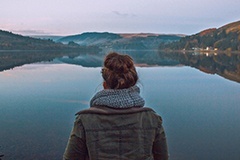 The collective benefit of lower stress and increased relaxation helps you manage anxiety. 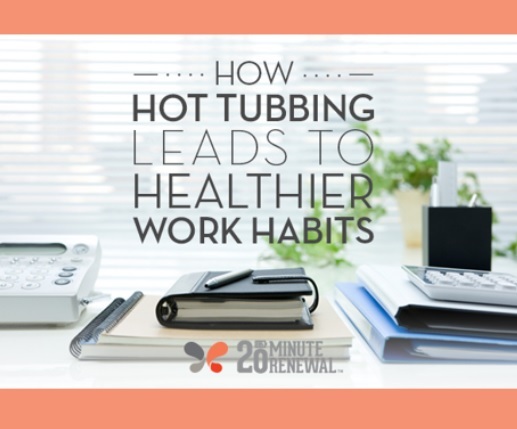 Your time in the hot tub helps keep life and your work tasks in perspective. Everyone likes a volunteer. And being liked by your co-workers is a large contributor to job satisfaction. Where do you find energy when you need it? Performing any job is physically demanding. Like an athlete you need to generate energy to accomplish your job. Your muscles become more efficient when blood circulation increases. Regular hot tub use improves blood circulation and muscle recovery. A happy, well-performing body makes any task more rewarding. Fatigue sets in when we ask our bodies to sit for prolonged periods of time. Buoyancy in a hot tub takes away the pressure of fighting gravity all day. Your body will be rested and ready for what lies ahead. You will be cheerful, optimistic, and apt to stay afloat to rise to the top. Simply put, you will be the definition of buoyant. 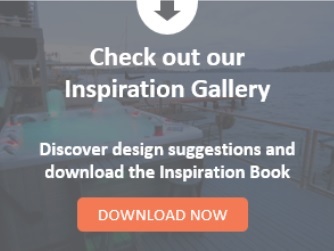 We encourage you to get in your hot tub to get noticed and promoted. A hard working, balanced, easy-to-get-along-with employee gets noticed for all the right reasons. Whether you’re looking to climb the corporate ladder or scale your business into the stratosphere hot tub use will get you there. The goal is to feel good about what you do while you’re doing it. 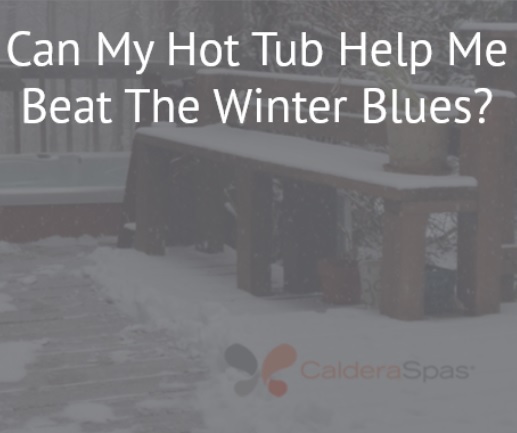 Our customers tell us their hot tub helps them stay calm during the crazy days. Make that a reality for yourself. Dip right in. If you’re already an owner we would love to hear how you are using your hot tub for work-life balance. Feel good. Live well. We’re all in this together. We are passionate hot tub enthusiasts and appreciate your interest in learning. Please look to us as a resource for helpful information. 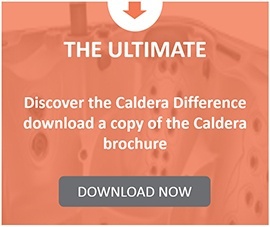 At Caldera Spas we take pride in helping you find ways to “Come to Life.” We know you’re worth it.